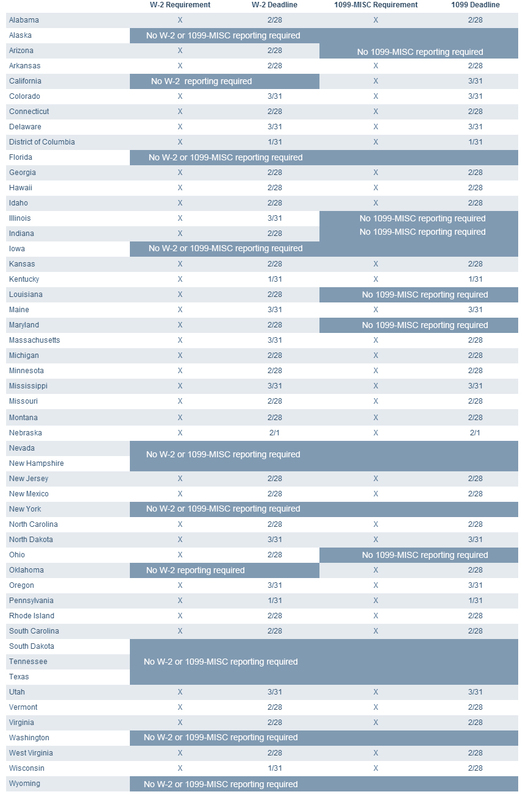 Each state has individual filing deadlines for reporting W-2 and 1099-MISC forms. Below are a current deadlines in 2014 for 2013 reporting. Take a look below to determine the requirements for the states where you have employees or contractors.